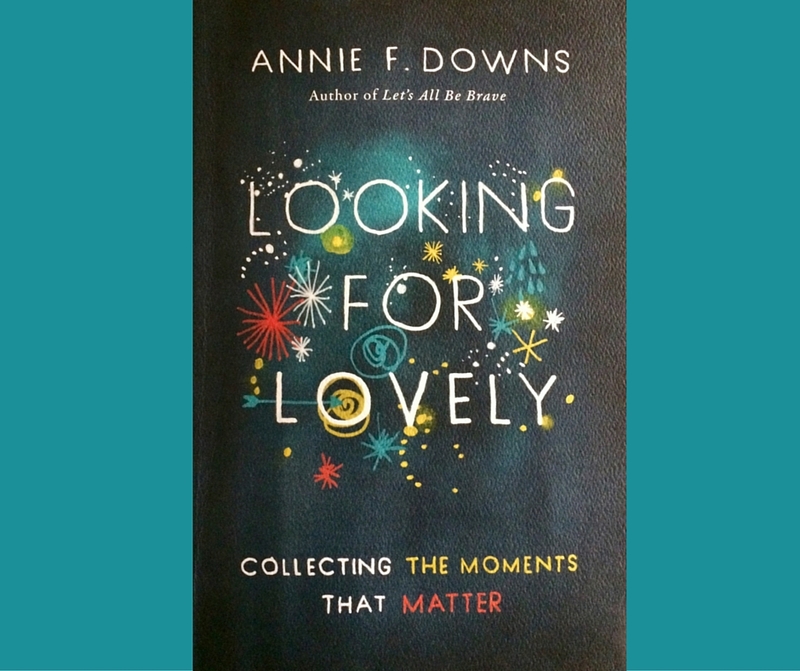 I know they say you shouldn’t judge a book by it’s cover, but when I saw the cover of Annie F. Down’s latest book, Looking For Lovely: Collecting The Moments That Matter, I had a feeling I was going to love this book….and I was right! Annie is one of those authors who, even though I’ve never met her, I’m convinced if we did meet in real life we would be friends. Reading her book felt like sitting down with a close friend – honestly sharing what’s going on in our lives….the highs, the lows, and everything in between. Unfortunately, Annie wasn’t REALLY sitting down with me, so the conversation was definitely one-sided. For me, looking for lovely is easy on a day like today – blue skies, 80 degrees, and sunny. It’s easy when I’m out in nature and surrounded by colorful flowers, trees, streams, and waterfalls. It’s easy to find lovely when I’m eating at a favorite restaurant or going to a concert with friends. It’s easy to find lovely when I’m laughing or riding my favorite roller coasters. It’s easy to find lovely when I’m surrounded by my close friends and family. It’s easy to find lovely in beauty, but Annie encourages us to also look for lovely in the midst of brokenness. That is much harder, and doesn’t usually come naturally, which is why we need to purposely keep our eyes open for it. Looking For Lovely reminded me that God gives us glimpses of hope and evidence of His love, goodness, and faithfulness each and every day. They are there, but we don’t always see them because we are distracted by so many other things. So, let’s slow down and look for lovely together. I’d love to hear what you found!